By mite standards, this one was probably pretty big. After all, I could actually see it and most species are microscopic. That said, I could only just see it, and it approached the lower limits of what I might try to document (especially in the field). As per usual for creatures of such diminutive size, I was not the one to find this particular organism. Rowan somehow spotted it and had me come over to take a look. I do not know much about this mite. My current guess is that it’s an oribatid. Among other things, they help decompose things in the soil. This one was on rotting wood, and it seems plausible it may have been eating on that, or perhaps fungus or other things growing on the wood. What kind of mite is this? 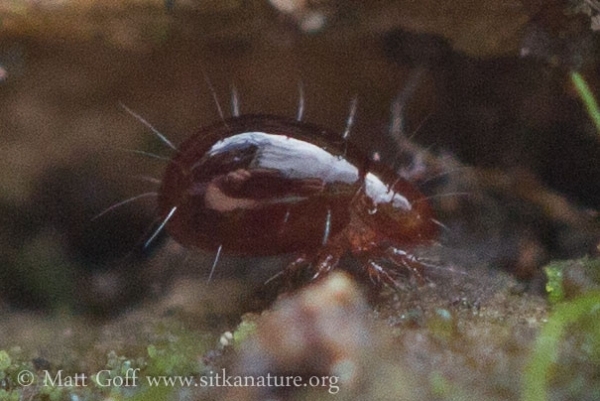 How many different kinds of mites of this size live around here? What, if any, advantage to those sparse hairs provide? 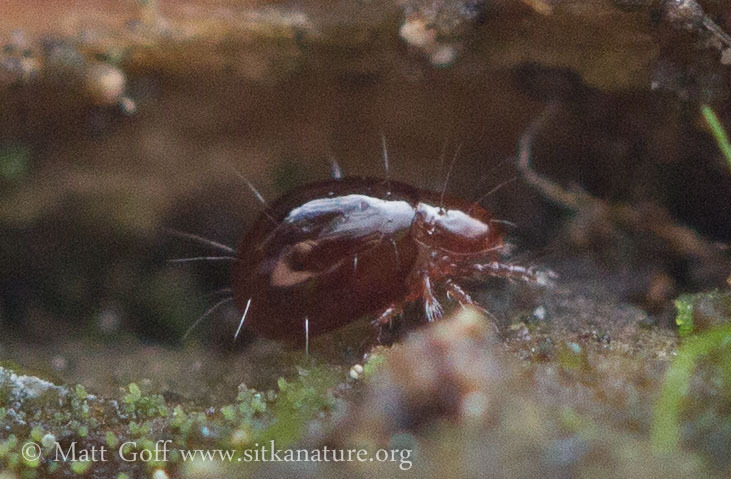 Have you ever seen a mite before? What kind(s)? What’s the smallest animal you’ve ever noticed out in the field? This entry was posted in arachnids, photo. Bookmark the permalink.